Happy New Year! Finally getting around to posting, life/school has been busy and way too much fun. 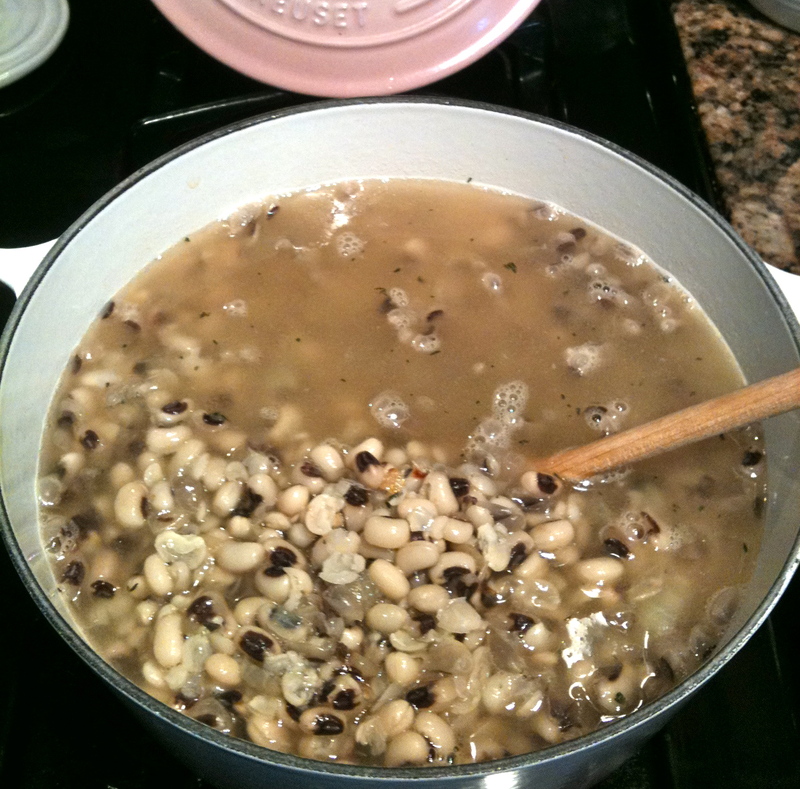 So New Years Day is the day to get going on the Black Eyed Peas, not the band, the actual pea. There are so many ways to make them, find your fav and get it done, then you’ll have good luck all year. Today I did them a little different then I usually do, using fresh black eyed peas, no soaking for me. I also made a Sweet Corn Bread Pudding, drizzled with honey. YUM! This is super easy and you still have time to get it done sometime this weekend, if not today. 2 – quarts stock (homemade is best) I used turkey stock from my thanksgiving bird today, it was delish. 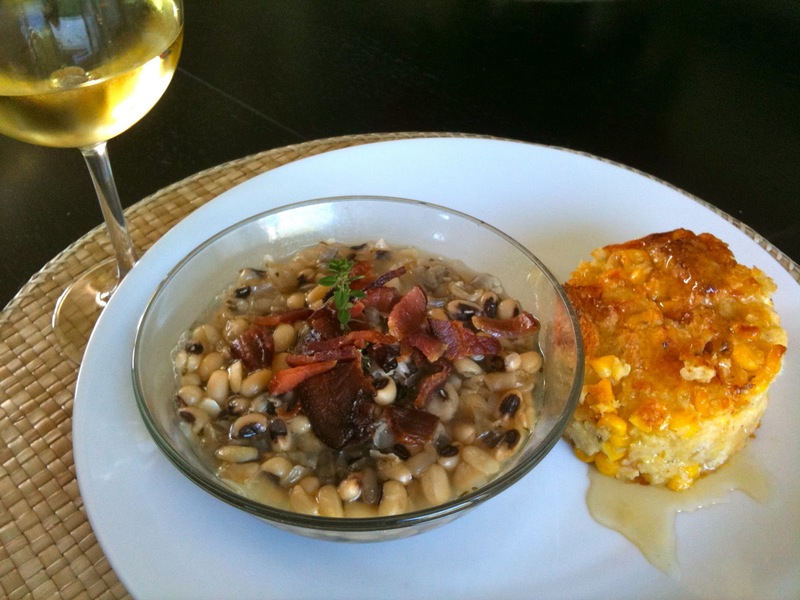 2 – 16oz bags of fresh frozen Black Eyed Peas, thawed. In a 4/6 qt. soup pot, fry up the bacon, cool and chop for garnish and reserve the fat for the onions. In the same pan sweat the onions until translucent, add the thyme and garlic and continue to sweat for another 5 minutes on low, don’t brown them. Add the thawed peas to the pot and cover with stock, simmer until peas are tender, check as you go, mine took about 90 minutes. The stock will cook away, you can add more as you go or let it absorb. I like it with some broth, so I add more. Cooked this way they are very light and clean. Don’t get me wrong I love the BEP’s cooked with a big ham hock, but after all the Holiday feasting we did, it was a nice change. Heat oven to 350 degrees. 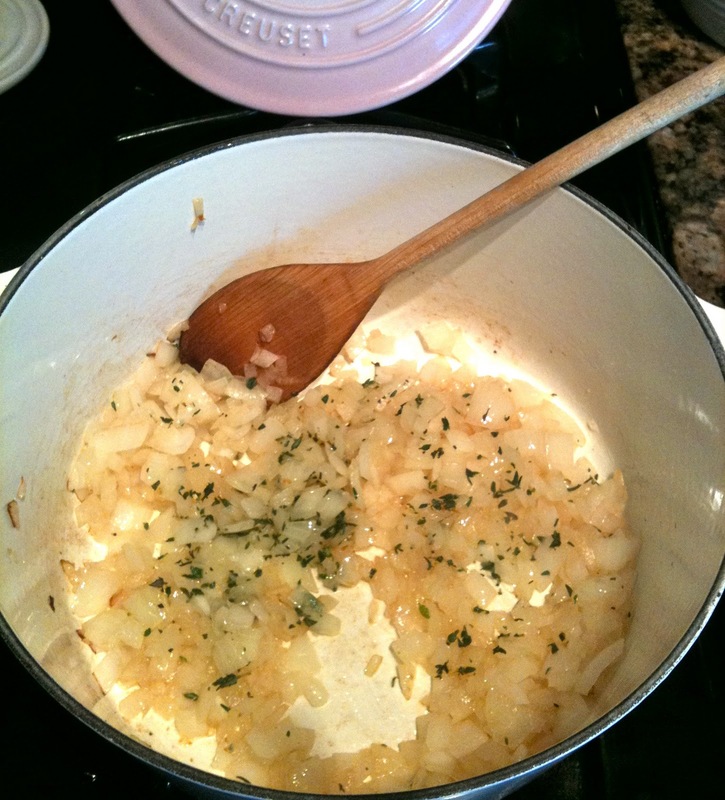 Sweat onions with butter and herbs in an skillet until translucent. 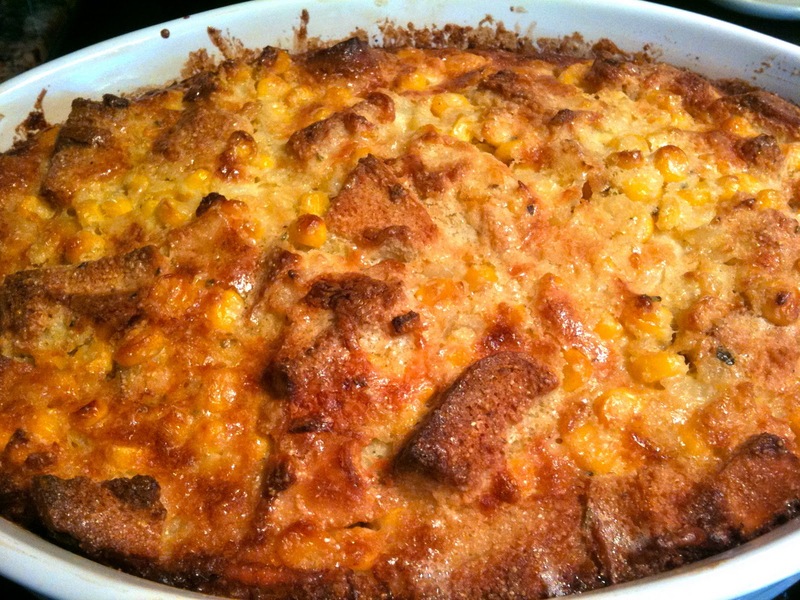 Combine corn, cream, eggs, baking powder, cornmeal, cheese, salt, and pepper in a large mixing bowl. Add cubed bread, onions mixture and fold to combine. Pour batter into a buttered casserole dish. Bake 45 minutes, or until set. Cool slightly before serving. Drizzle with honey just before serving. Here’s a shot of both plated and ready to eat, it was so good! Happy New Year to all my family and friends, I love you all madly! 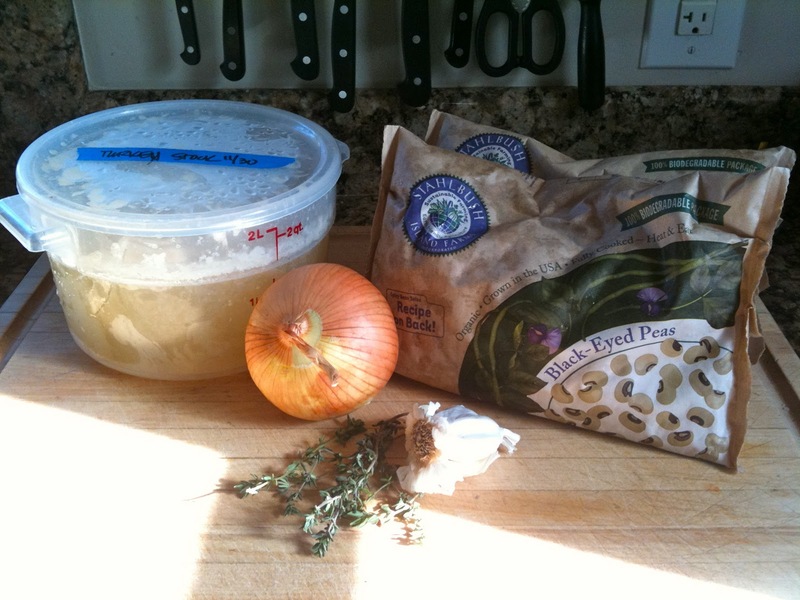 This entry was posted in Holiday and tagged good luck food, holiday by Sarah. Bookmark the permalink.